I would like to welcome everyone to the Necronomicon Gate-Walker’s Journal. If this is your first time here, please review some of our previous articles located in the column on the right. Experienced members of the Necronomicon Tradition can see some of the same principles that are so dear to our work, were also prominent in ancient Taoist thought. In previous posts, we discuss the fatal error that many critics of the Simon Necronomicon make, which is comparing the tome to the Western Ceremonial Magick. The Simon Necronomicon draws upon sources and traditions that are found among indigenous people, and it is one of the few tomes that can only be understood by approaching it with the mindset of these same indigenous peoples of Africa, Arabia, Asia, and India. This passage also illustrates that the entities that appear in the SN refer to, not only external forces, but an internal process of development. 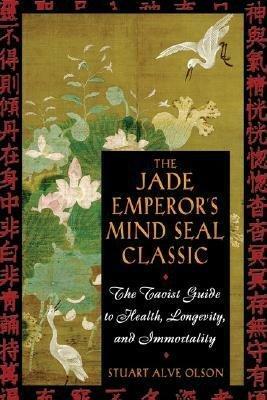 There are many things that readers of the Jade Emperor’s Mind Seal Classic will find useful in their work and how it relates to the Necronomicon Tradition. Enlil is the Jade Emperor !